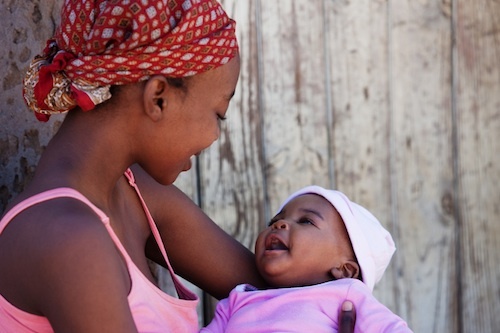 As the world approaches the 2015 deadline for the Millennium Development Goals (MDGs), the enormous progress that has been made in improving maternal and child health is becoming evident. However, despite the progress, it is equally clear that more remains to be done: far too many newborns, children, adolescents and women die of preventable conditions every year, and far too few have reliable access to quality health services. Fragmented financing and governance cause high transaction costs, hindering progress at country level. This Concept Note argues that a Global Financing Facility (GFF) in support of Every Woman Every Child can help drive the transformative change needed to prepare the road to convergence on RMNCAH. The overall goal of the GFF will be to contribute to the global efforts to end preventable maternal, newborn, child and adolescent deaths and improve the health and quality of life of women, adolescents and children. It is estimated that compared with current trends, an accelerated investment scenario would help prevent a total of 4 million maternal deaths, 107 million child deaths, and 21 million stillbirths between 2015 and 2030 in 74 high-burden countries. The GFF will mobilize and channel additional international and domestic resources required to scale up and sustain efficient and equitable delivery of quality RMNCAH services. Additionally, the GFF will support the transition to long-term sustainable domestic financing for RMNCAH. A special focus area for the GFF will be to support the scale up of civil registration and vital statistics (CRVS) systems to contribute to the universal registration of by 2030. 5) Contribute to a better coordinated and streamlined RMNCAH financing architecture. The GFF will facilitate a clear strategy for fully-scaled and smart financing of RMNCAH services in different countries. This strategy will be articulated in a financing roadmap informed by a rights-based, results-focused, fully costed RMNCAH national plan linked to national strategies for health and other sectors. The roadmap will provide a comprehensive picture of a country’s immediate and longer-term RMNCAH resource needs and will outline strategies to mobilize the requisite domestic (public and private) and international (bilateral and multilateral) funding over time. The aim is to harmonize funding for RMNCAH plans through a common country financing framework which is linked to clear results and backed by common accountability and reporting mechanisms. The financing roadmaps will be linked to longer-term planning that strengthens domestic resource mobilization and diversifies modalities of development assistance in line with a country’s rate of economic growth. The GFF will also position itself as a major investor in the financial roadmap through mobilization of development assistance. Specifically, it will build on the existing Health Results Innovation Trust Fund (HRITF) at the World Bank that offers excellent leverage of International Development Association (IDA) and International Bank for Reconstruction and Development (IBRD) resources, good value-for-money in terms of achieving RMNCAH results and low administrative costs. In addition, through a dedicated financing window, the GFF will support the strengthening and scaling-up of CRVS plans contributing to the universal registration of every pregnancy, every birth and every death for every woman and every child. Other financing windows are also envisaged for “multi- sectoral”, “multi-lateral” and “market-shaping” investments. Three discrete governance capabilities need to be put in place for the further development of the GFF. One relates to the need for effective convening around the development and implementation of the country financing road maps. A second relates to the operations and further development of the GFF windows. And a third relates to the need for an umbrella stewardship that convenes stake-holders, forges consensus amongst domestic and international financiers, reviews progress, and recommends actions to accelerate the achievement of results. With an agreement on the objectives and functions of the GFF, a collaborative business planning process is anticipated in the coming months. The World Bank will play a convening role for the GFF working with partners to further design and operationalize the GFF leading to a formal launch in mid-2015.